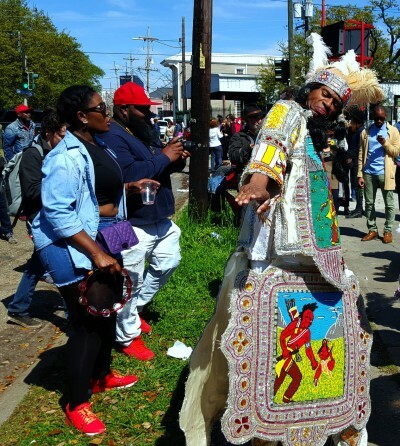 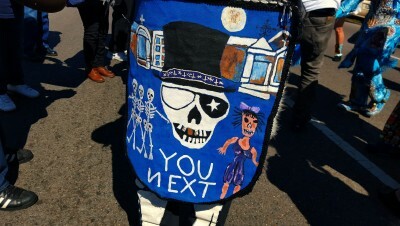 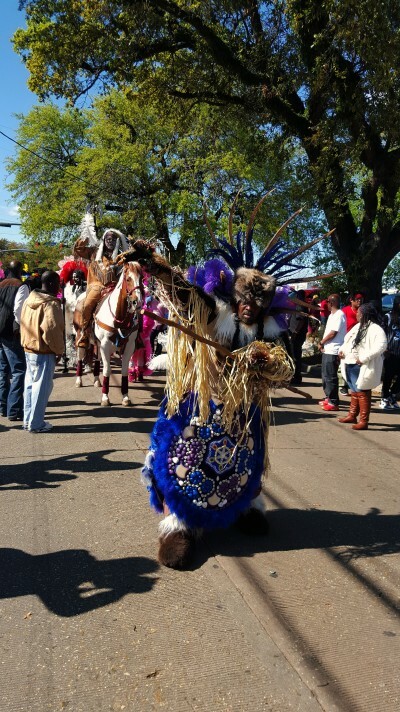 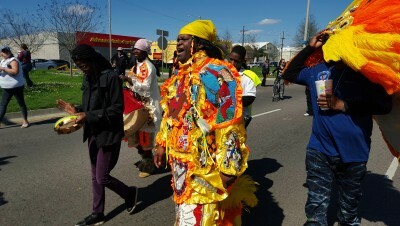 The grand conclave of Mardi Gras Indians tribes occurred this weekend. 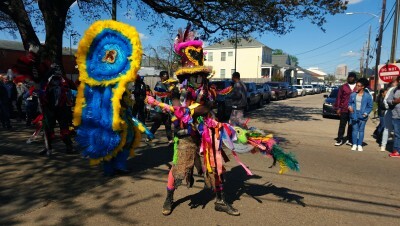 As each tribe paraded through Central City, those present were lucky enough to catch a glimpse of our town’s unique backstreet culture. 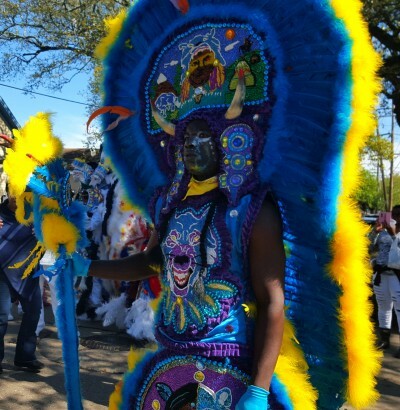 The Mardi Gras Indians are African American social organizations, ostensibly created to honor those Native American tribes that sheltered runaway black slaves. 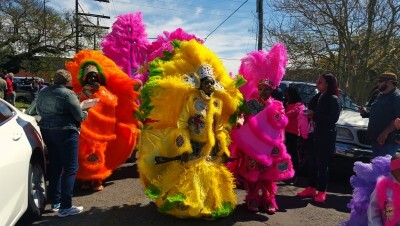 With that said, the costumes and chants of each Mardi Gras Indian tribe seem to have deep roots in West Africa. 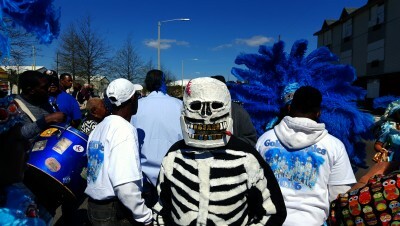 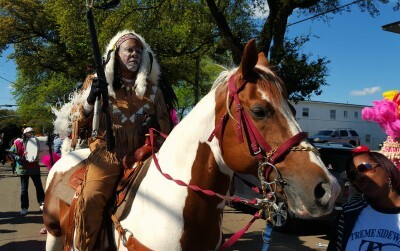 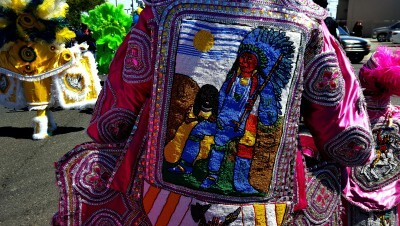 Every year, the assembled Mardi Gras Indian tribes of New Orleans parade through town on Super Sunday. 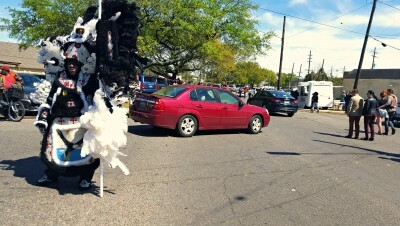 We snapped some images and took some video of the festivities; enjoy. 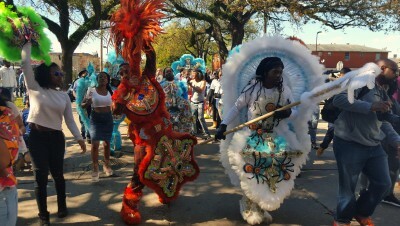 Let’s not leave out the video.